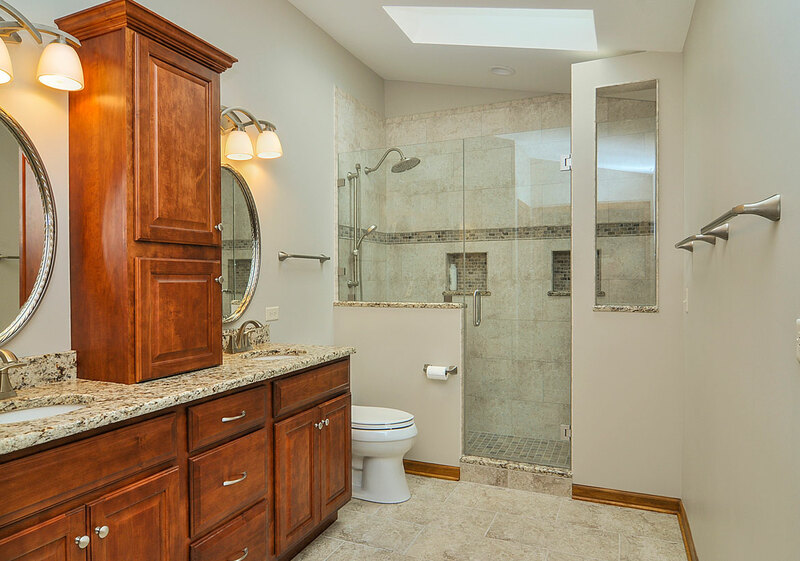 Whether your bathroom is big or small, it can, in all likelihood, accommodate a walk-in shower. 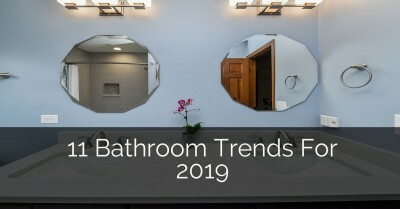 Your bathroom can go from blah to beautiful with some careful planning and design, increasing both the value of your home and your enjoyment of the space. 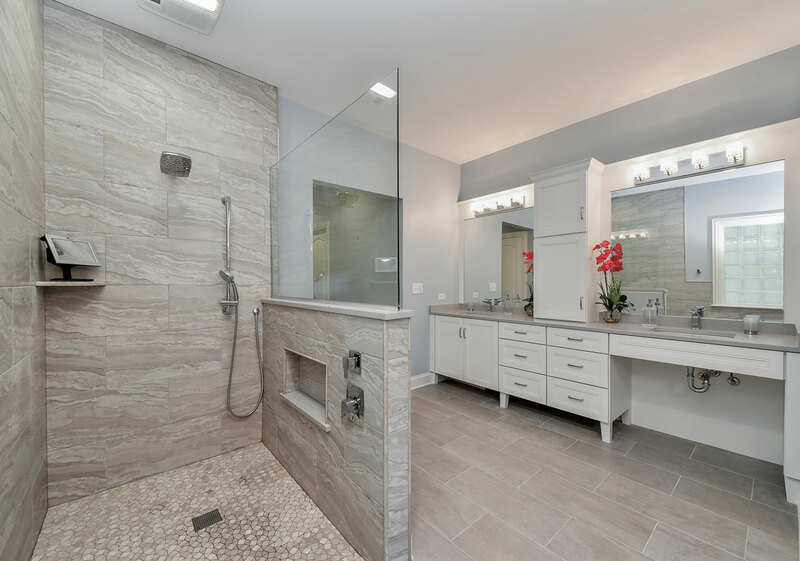 The first and possibly most important step before making remodeling your bathroom is to gain insight on what size and style of walk-in shower your space will allow. Consult with a plumber or contractor you trust about measurements so that there are no costly mistakes further down the road. They will also be able to let you know whether any repairs or renovations will need to be done before installation can begin. Ask your plumber or contractor for a written quote so that you both can reference back to it should questions or issues arise. Also, it’s always helpful to have references and someone who’s done good work will be happy to provide them! 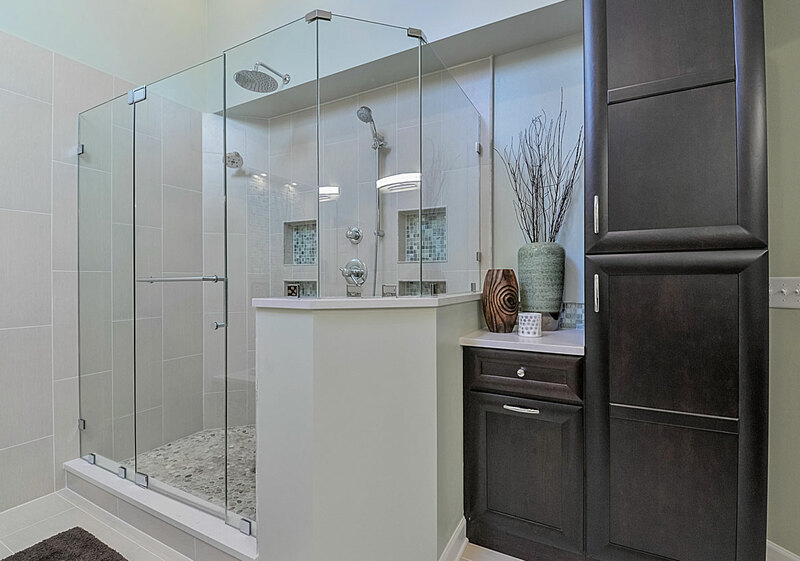 Once you’ve determined which size of walk-in shower you can purchase, you’ll want to look at as many designs and styles of showers that you can. 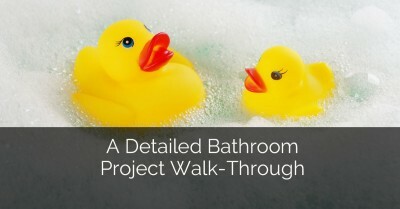 Take a walk around your home and determine what look and feel you get from other design elements. If you have a historical home, for example, you may want to think about antique fixtures and an aged or patina appearance in your tiles. 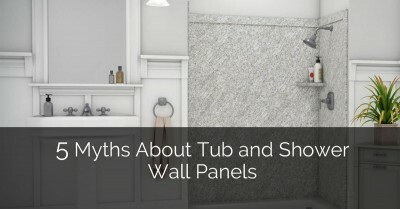 If your home was built in a certain era, you should lean towards fixtures, tiles and even a shower shape that will further accommodate that era’s appeal. 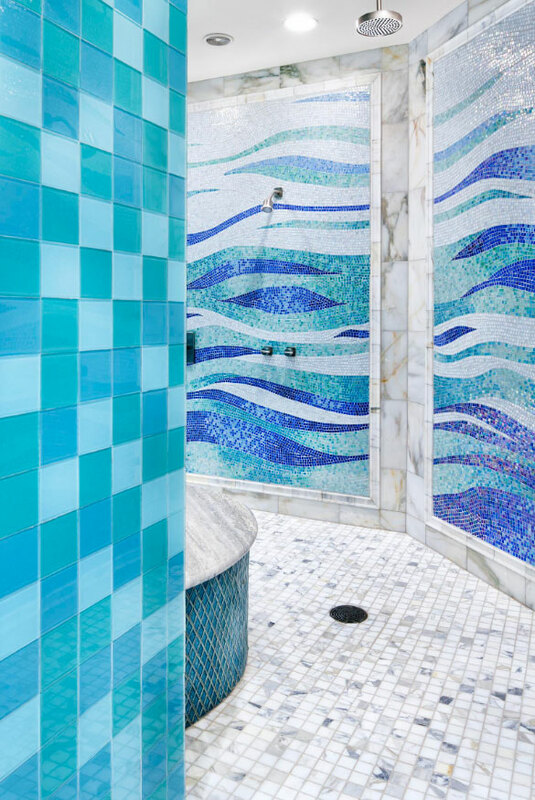 If you find yourself falling in love with (for example) teal or red tiles for your shower wall, try to remember that once your shower is installed, you’ll want it to stand the test of time. Even though you love those colors today, you may decide that they don’t fit in with your next renovation project or they may fall out of favor and make it hard to sell your home someday. If you’ve decided that you just can’t go without your color of choice, think about including it in easier to replace items, like your towels or decor elements. 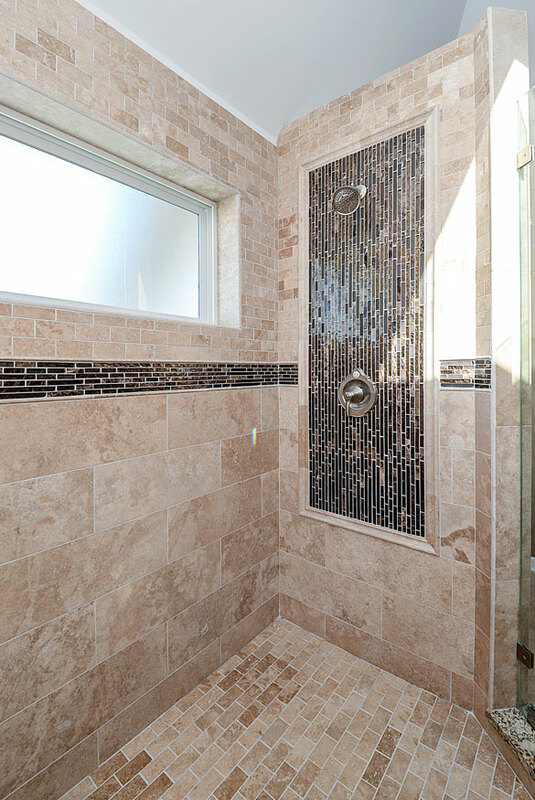 Your shower should definitely reflect the feel of the home and your special touches, but it should also be easy for a potential buyer to move in and make their own mark. 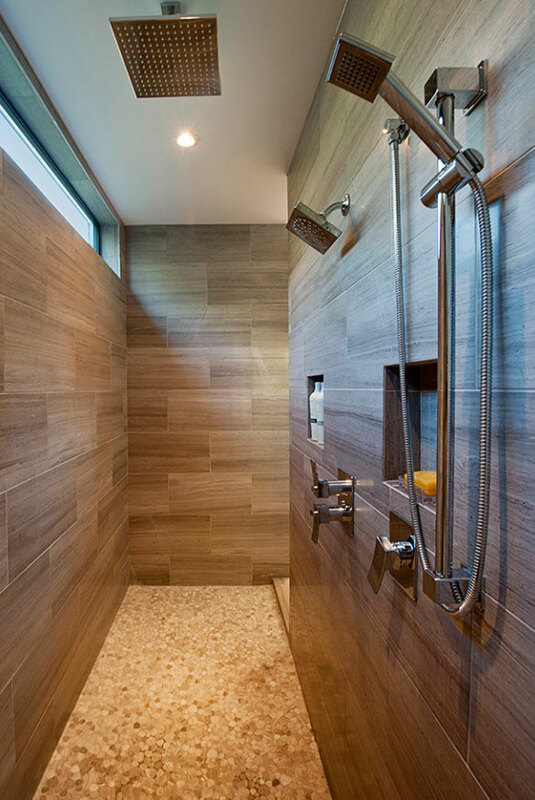 Of course your walk-in shower shape will be mainly determined by the space in which it has to fit, but it helps to think outside the box. 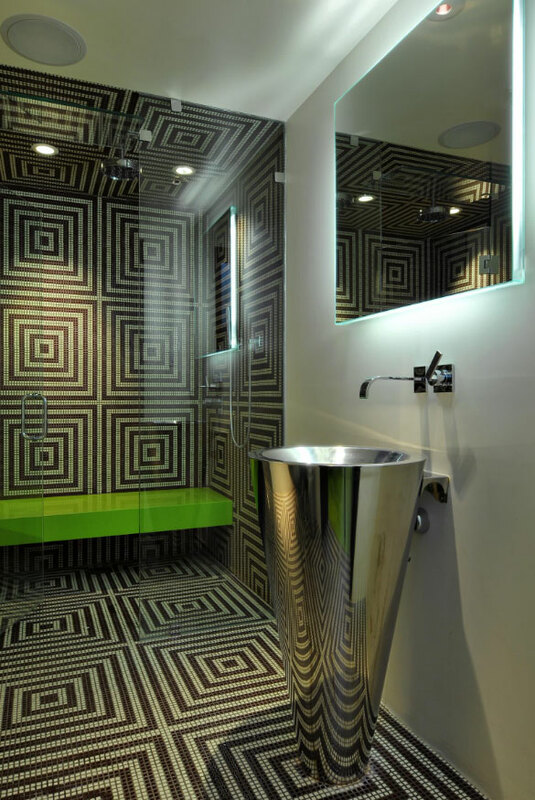 Showers can be curved, rectangular, square, and can tuck into the most unlikely of places. Consider a narrow space or small hallway that could be fitted with a walk in shower that is open on both ends and leads to your closet. The design possibilities are just about as vast as your own imagination. 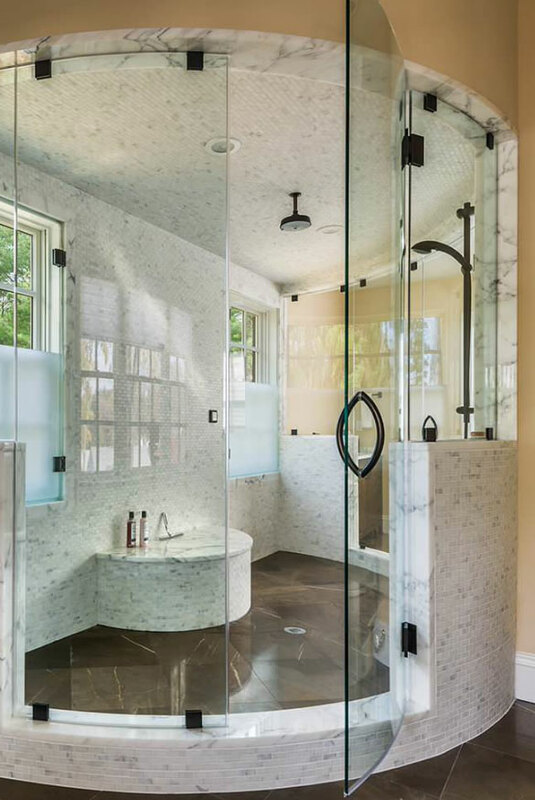 If you’d like to give your bathroom the illusion of more space or you’d just like to show off that fabulous shower wall, consider a transparent glass door. 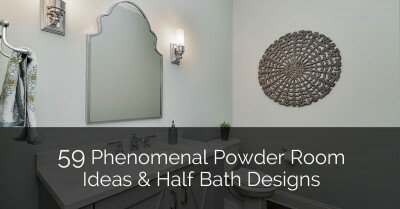 This also gives your bathroom a more modern, clean feel. 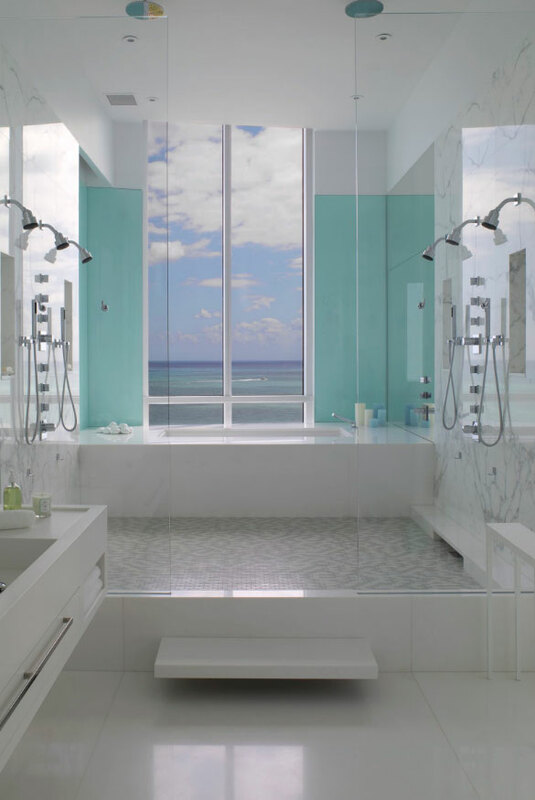 The downside might be that you need to be more on top of shower door cleaning to keep it sparkling but the upside of a transparent glass door will be a timeless appeal that keeps your bathroom looking fresh. Another recent design element is to make your shower doors look as if they’re garden doors – achieved by adding frames. You could also add stained glass to your panels with either clear beveled or color pieces. Like the glass but not sold on that much transparency? Try a frosted effect. This can mean horizontal or vertical lines, an overall frost, or even specific shapes or silhouettes. You can make your doors stand out by framing them around the edges or have them blend into the background by using a seamless style set up. 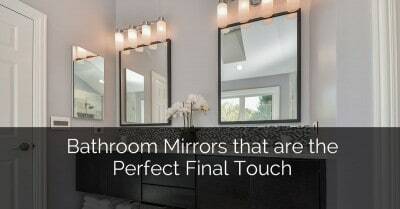 Frames come in a variety of colors to match or blend with the rest of your bathroom fixtures, the most popular being black, brushed nickel, pewter, silver, and gold. If your design allows for it, consider no doors at all. 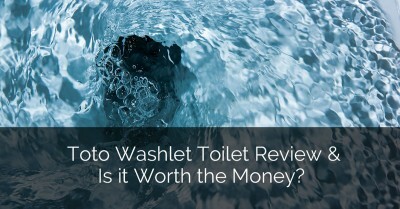 This certainly means less cleaning and can give your walk-in shower a simpler appearance. 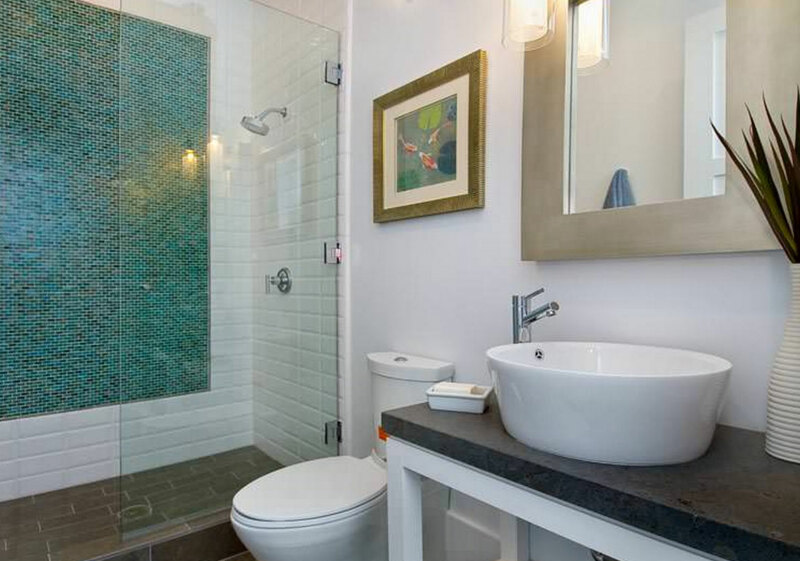 You can opt for one that blends into the tile color, or one that stands out and makes a statement. Your shower head, especially if visible to the rest of the bathroom, can be the highlight of the room if chosen with care. The market offers a wide variety, whether you’re going for something modern, classic, or something that looks as if it were discovered in some tucked away antique store. 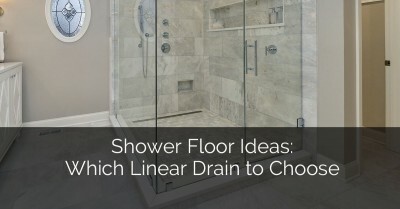 Consider the other fixtures in the bathroom when selecting your shower head. 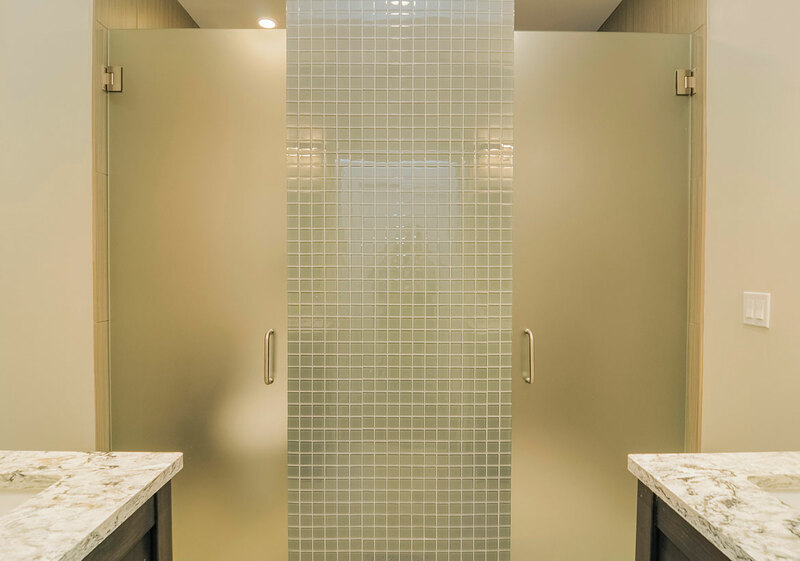 Is your bathroom purely functional or are you hoping for a more spa like experience when you step behind the shower doors? 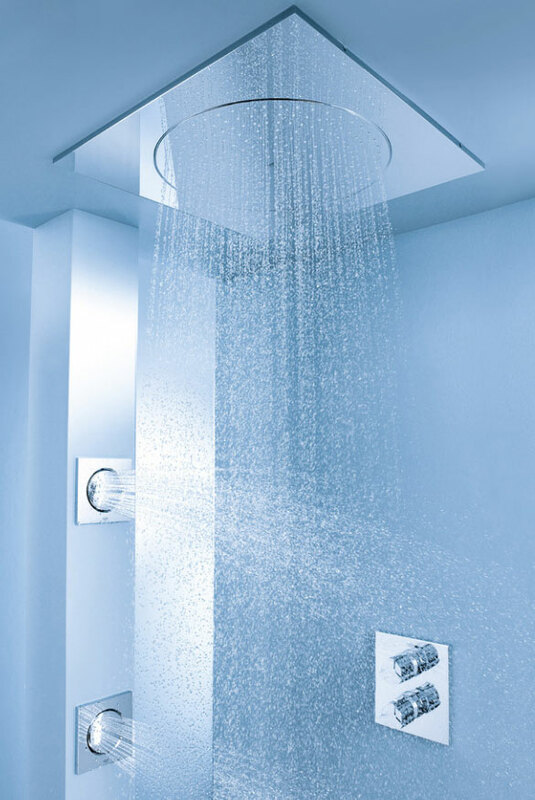 The variety of shower heads and their specific uses can be mind boggling once you start exploring. There are hand held heads or the more stationary variety. 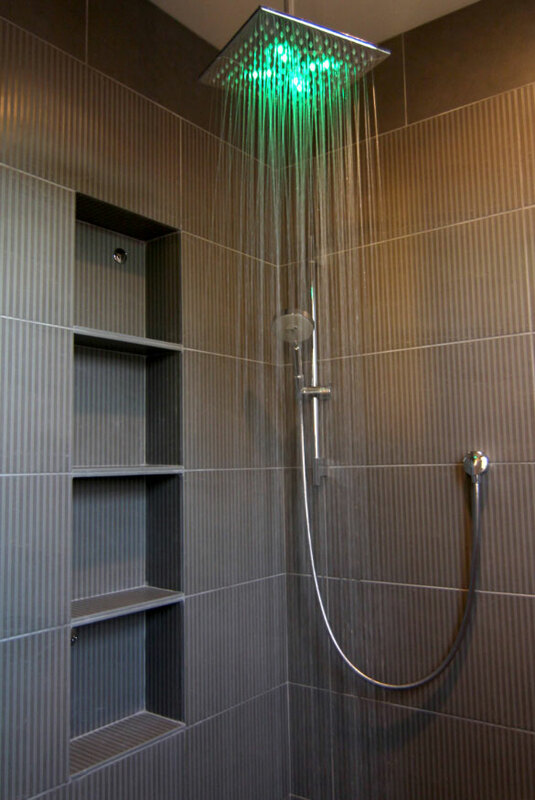 Shower heads can be mounted from the ceiling (as with the rainfall versions, mimicking a natural effect) or side mounted. Many walk-in showers now feature dual heads, either to accommodate a shower for two, or so that one person can enjoy complete immersion in spray. 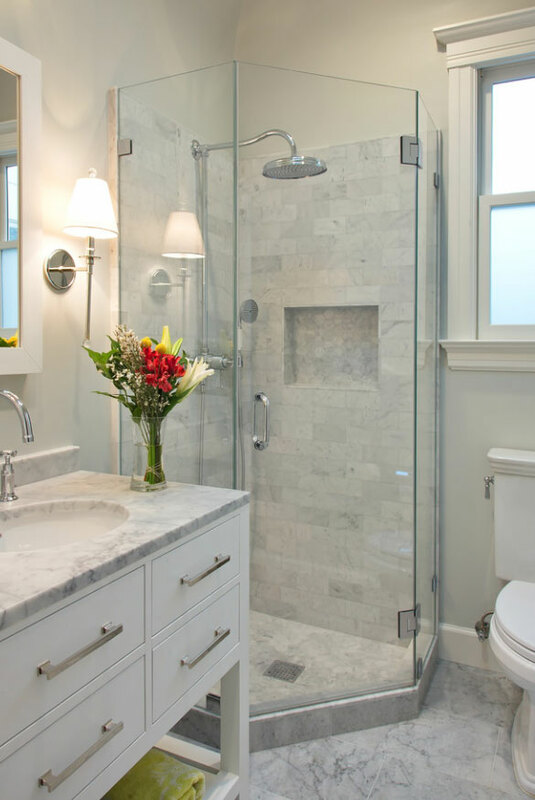 Whether you prefer a more traditional, round head, large or small, or a more modern rectangular shape, your design won’t be limited by your shower head choices. You can incorporate a more spa like experience with massage jets, a waterfall, or even shower heads that accommodate aromatherapy oils! 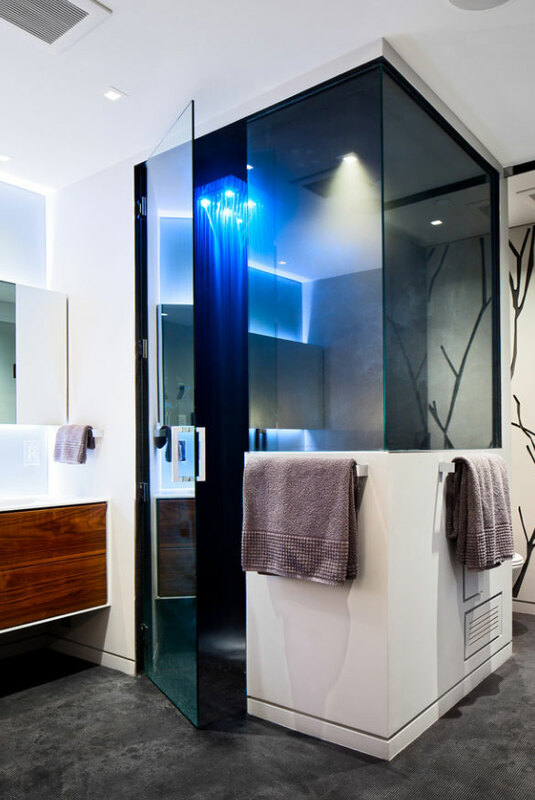 One element that shouldn’t be overlooked when designing your walk-in shower is the lighting. This can have an overwhelmingly large effect on the overall look of your bathroom, and on how functional it is for regular, everyday use. A variety of lights is best – some bright, recessed task lighting to wake you up and get you moving in the morning, and some softer mood lighting for evening showering before bed is optimal. 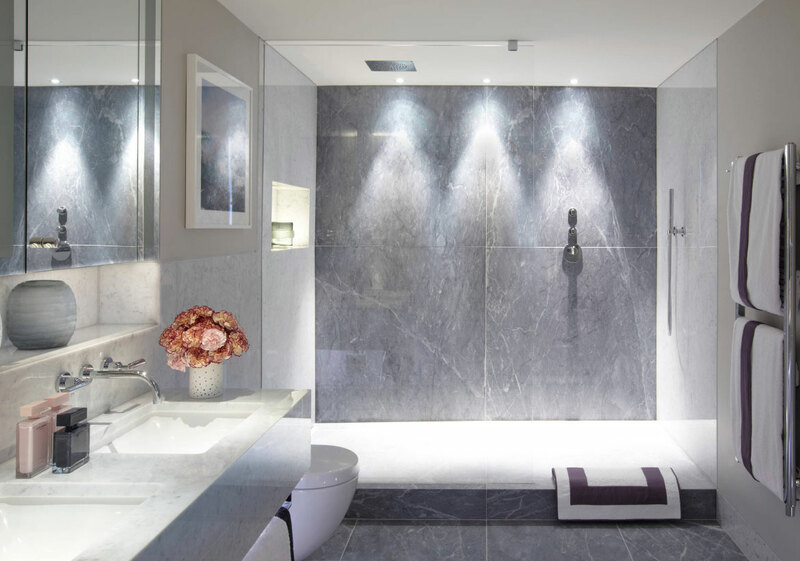 You can experiment with how your lighting operates either in the ceiling, in a recessed shelf within the shower walls, or on one of the walls where it acts as one of the design elements. 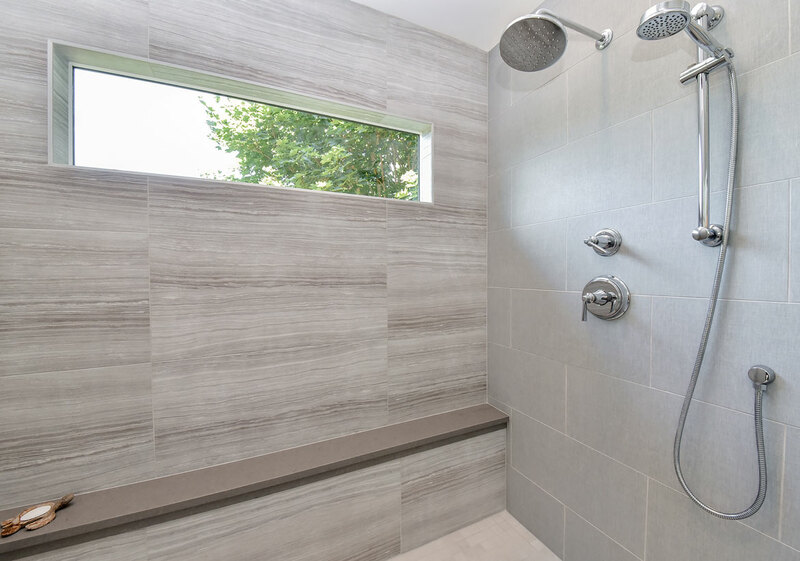 One of the nice things about the walk in shower is that you can easily incorporate built in shelves and even seating for one or more, depending on how you most enjoy your set up. If you often use a variety of bath products, you might opt for more shelving, or if you’re a minimalist, one small shelf might do. 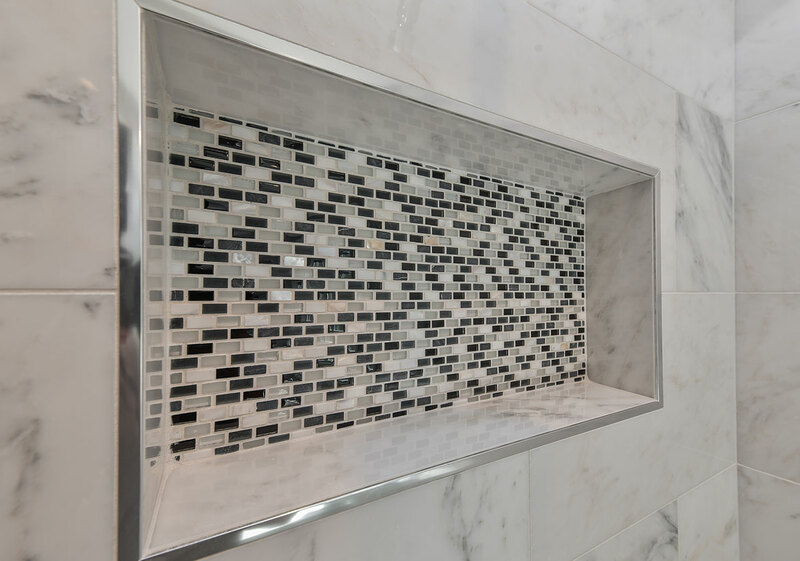 Your shelf can be a recessed area (some homeowners even choose to add lighting) in the wall, or it can more traditionally be built out from the wall and be covered in the same complimentary tile or even stand out with a complimentary but highly visible tile. 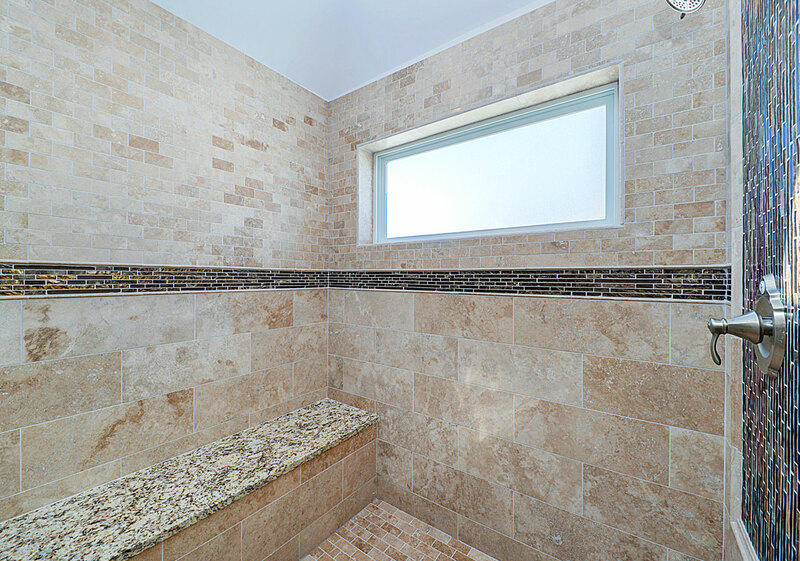 Seating can be a wonderful option should your walk in shower accommodate it. Even a small shower can offer a shelf-like seat in the wall. 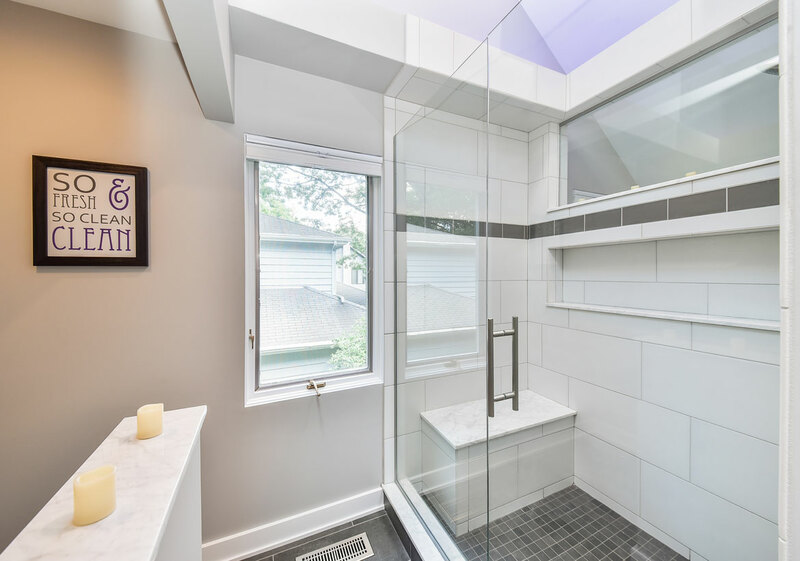 Usually covered in the same tile as the rest of the shower enclosure, seating can be a place to take a load off and enjoy the rainfall spray, or it can serve a more functional purpose as a place to sit and scrub to your heart’s content. The tiles are where your personal style can really shine. The selection can be overwhelming (large, small, a variety of both, simple repetition or create a picture or pattern within the wall, and a whole rainbow of colors) but if you’re armed with some idea of what you want the final picture to look like, you’ll be able to quickly whittle away at the options. 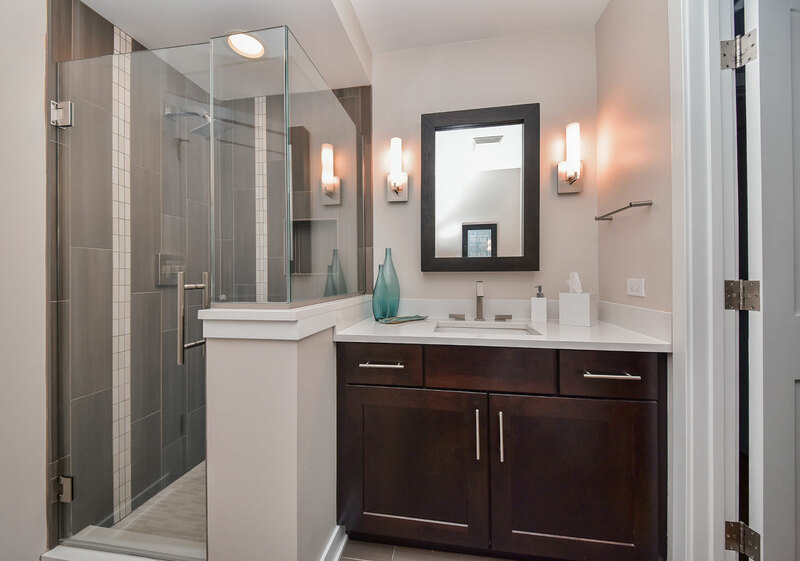 You can have a smooth shower wall, a monochrome unit outfitted with tiny white tiles, gorgeous multi-color slate tiles, or even incorporate framed, tile panels behind your shower heads with a smooth, waterproof wall acting as a backdrop. If you’re really stumped, hiring the advice and services of a professional designer can really come in handy at this point. 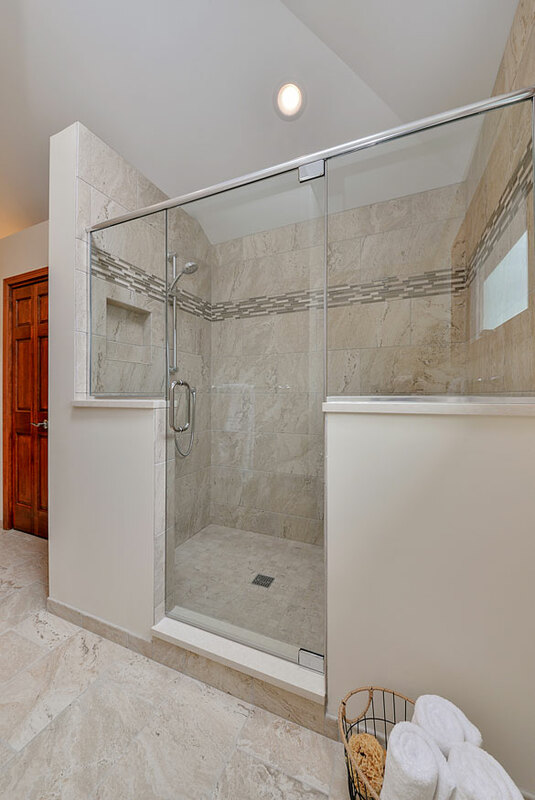 A walk-in shower is a versatile way to bring a mini-vacation into your home. 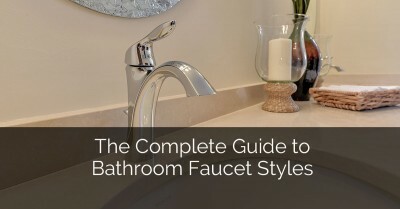 It can be as simplistic or as complicated a design as you choose to have, and can incorporate all of your favorite shower elements. 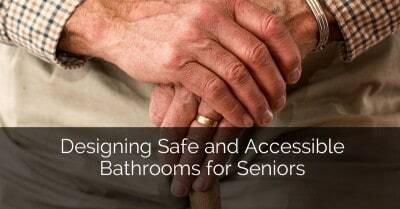 Make a plan, bring in the help of professional services, and enjoy your special space for years to come.